Thirty years ago, the agreement that established Russian (then USSR) collaboration in the DZero experiment was signed. The addition of the group from the Institute for High Energy Physics, or IHEP, in Protvino paved the way for a long and fruitful collaboration at the Tevatron that still continues today. The collaborating Russian groups expanded over time and made many crucial contributions to both the detector components and to the physics analyses. Although discussions between IHEP and DZero started in 1984, concerns arising from Cold War tensions delayed serious discussions for two years. Once preliminary agreements between Fermilab and IHEP were reached on the framework for collaboration, a visit by DZero leaders to Protvino in spring 1987 was arranged to conduct negotiations on the specific plan. The formal execution of the memorandum of understanding followed in October 1987 with the signing by the directors of Fermilab and Protvino (Leon Lederman and Lev Soloviev), spokespersons of DZero and the IHEP group (Paul Grannis and Sergei Denisov), and the heads of the Fermilab DZero Department and co-spokesman of the IHEP group (Gene Fisk and Alexander Vorobiev). The agreement specified the detector components for which IHEP was responsible, the intended level of manpower commitment to the experiment, and the framework for mutual scientific analyses of the data. 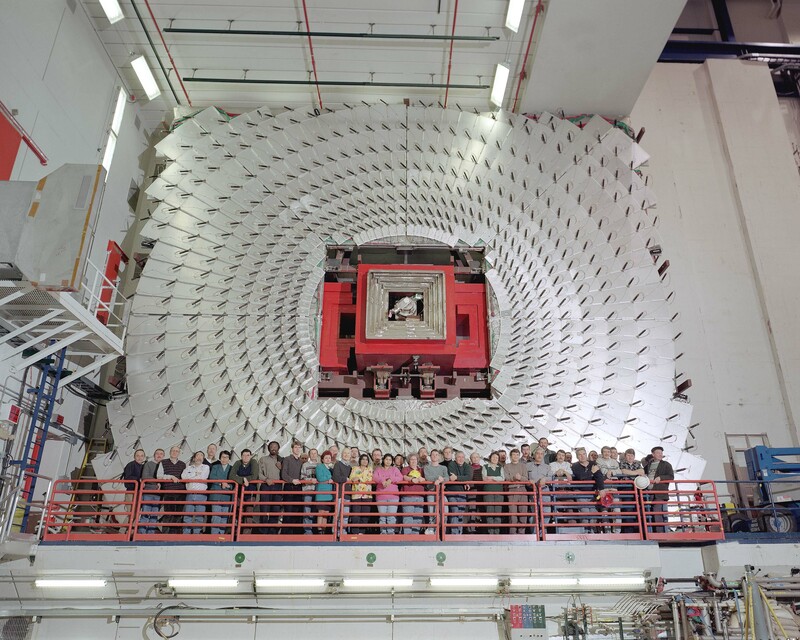 The IHEP contributions to the Run I detector included the very forward muon toroids and drift tube detectors, as well as the stainless steel absorber plates for the endcap liquid-argon hadron calorimeters. The forward muon detectors were unique at the time in extending the coverage for leptons to within four degrees of the beamlines, thus enabling new physics opportunities. Both contributions were completed on time and shipped to ports in Canada for transfer to Fermilab. For Run II, the Russian consortium was expanded to include groups from the Joint Institute for Nuclear Research (JINR) in Dubna, the Institute for Theoretical and Experimental Physics (ITEP) in Moscow, Moscow State University (MSU) and the Petersburg Nuclear Physics Institute (PNPI). The U.S.-Russian Joint Commission on Economic and Technological Cooperation (Gore-Chernomyrdin Commission), established to foster joint U.S.-Russian economic and scientific projects, awarded substantial funds in 1996 for Russian institutes to build major components of the upgraded Run II DZero detector. (As an international organization, JINR was not eligible for Gore-Chernomyrdin funds.) IHEP built the large scintillation counter arrays shown in the photo for triggering on forward muons. JINR constructed the associated mini-drift tube arrays for coordinate measurement, and PNPI built their readout electronics. ITEP provided scintillators for central muon triggering, and Moscow State fabricated large silicon microstrip disks for the forward regions. At the peak of DZero activity during Run II, the IHEP, JINR, ITEP, MSU and PNPI groups had about 20, 20, 5, 10 and 10 people respectively, with typically 10 in residence at Fermilab at a given time. The Russian groups have undertaken a variety of high profile physics analyses. These include measurements of small angle b quark and J/psi cross sections; measurements of double parton interactions; the observation of an exotic meson composed of b, c, u and d quarks; and multiple studies of the top quark, including key contributions to the discovery of single-top quark production. Despite recurrent problems in securing approvals for visas, the collaboration has been very close and tremendously productive. The long experience of working together on DZero reinforces the oft-mentioned fact that, despite differences between countries at the political level and differing cultural practices, collaboration among scientists working with the shared goal of discovering new physical phenomena is a crucial ingredient for improving understanding and reducing barriers among peoples. Sergei Denisov was leader of the IHEP DZero group for the duration of the collaboration. Paul Grannis, current DZero co-spokesperson, also served as spokesperson from 1983-1996.